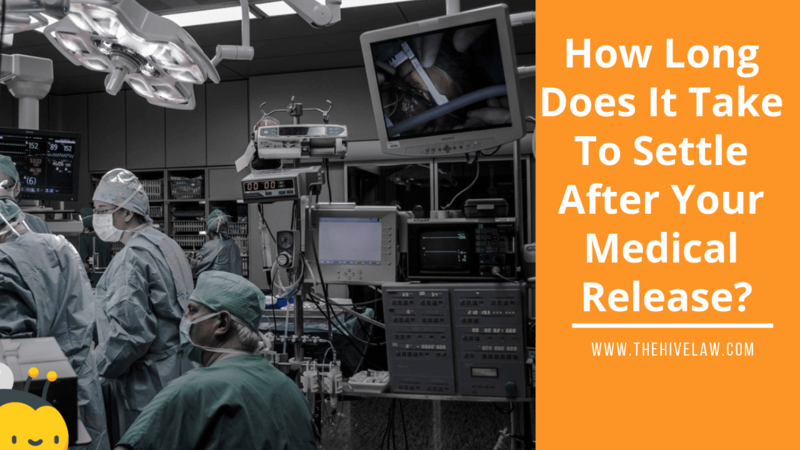 Are you wondering how long does it take to settle a personal injury case after you get released from your doctor? But you didn’t come here for that. You came here for some more clarity. There are some things that need to happen after you get released from your doctor. How Long Does It Take to Settle a Personal Injury Case After You Have Been Released? You are going to be receiving piles of bills and invoices from your doctor. You should also be receiving records from them. If you aren’t, make sure you go get them. These records, bills, and invoices are the proof that you have to build your case. Without it all, you will have a tough time proving that the accident caused medical problems. When you receive these documents, drop them off at your injury attorney’s office. The documents will get used to determine the value of your case. They also get presented in the demand for compensation. Your accident attorney cannot ask for compensation for your injuries without these. The medical bills and records are proof that you got injured in the accident. Not all doctor offices work at the same speed. Some will give you the bills and records the same day while others could take weeks. Gathering official records takes time. Your personal injury attorney is at the mercy of the doctors and the billing agencies. As soon as all the medical bills and records get collected, your injury lawyer can take action. They will prepare their demand package and send it to the insurance company. The demand package will outline the details of your accident case. These demand packages can contain up to thousands of pages. The insurance company will take several weeks to dig through it all. After the insurance company has dug through the demand package, negotiations begin. There may be a lot of back and forth between your attorney and the insurance company. How long this back and forth takes depends on how severe your accident and demands are. After this, the insurance company will present you with a settlement. Once you and your injury lawyer agree to this settlement, it’s time to accept it. The insurance company will make you sign a release to the settlement claim. This means that you can’t come back in two years and try to sue them again. This is where the best part happens. After you sign the release, the insurance company will send you the check on the agreed upon amount. The check will go into the attorney’s business account to be distributed accordingly. Your attorney will take their commission from the check. After they get paid, they will pay off the liens that you have against yourself. These liens are medical bills that you owe money for. Once the deductions get taken out, you will receive the remaining balance. Your attorney will issue you a check. Let’s look at a $100,000 settlement. Your personal injury attorney gets $33,000. Let’s assume your medical bills are $15,000. As you may be aware, going up against an insurance company is tough. They have their own teams of lawyers for these instances. Hiring an accident attorney is the best way to make sure that you get the compensation that you deserve. Filing a claim for compensation can be a total nightmare to try and handle alone. You may even be confident that you can follow all the necessary steps. Fighting with the insurance company’s team of attorneys will be your biggest hurdle. Insurance companies love when someone shows up unrepresented in a personal injury case. They will offer the least amount possible. Their attorneys specialize in figuring out how to pay as little as possible. They have the skills and training to find their way out of paying. They may even find a way to not pay you at all. You need a personal injury attorney who knows how to handle these cases. Don’t leave your future in the hands of someone unqualified to get the compensation that you deserve. The Hive Law has the skills, training, and experience to protect you. Get the compensation that you deserve for the injuries and suffering you experienced. Our lawyers will provide you with a free consultation to find out how we can best assist with your case. If you were hurt in an accident, you deserve to be treated like a person. Don’t go to law firms where you’re just a number and you can’t talk to your attorney. You don’t want to be left in the dark when it comes to your case. At The Hive Law, you get the attention and representation that you need. Fill out the form below to start setting up your free consultation so we can start taking steps to get you paid.